What do you keep in your home storage? Now just think what things and how much things should be kept in the warehouse of a big house which more than four hundred people live there! All departments of this charity are jointly participating in Hamdam girls’ life and we want to introduce these departments and the reflection of their works so in each issue of the journal we introduce one of these areas. This time we talk to warehouse clerks to know more about this unit. The warehouse has four ports for storing food, detergents, clothing, furniture and refrigerator, which is located in two buildings. All purchases and supplies of this charity and people’s non-cash donations are delivered to this place at the beginning to enter and they are listed in order to use at the right time. This time may be that day or the next day or next week. Warehouse clerks are usually busy and they exchange things all the time. Their tables are covered with receipts, applications and files. Mr. Mohammad Taheri Far and Mr. Seyed Abutaleb Hosseini are working here.Mr. Taheri has been here since 1986 and Mr. Hosseini came to this charity in 1989. They have worked in other social welfare centers and they have come back here again. I ask them to talk about their job. Mr. Taheri looks at the papers on his table and says: “All things that are necessary for life are kept here. In fact, this unit is a part that serves some services to these innocent girls and we are always on the exchange of properties and food. Charity’s requirements are various depending on different conditions and we usually buy things based on our needs or we declare public participations department about them to inform donors. I ask him about things which are kept in the warehouse. Mr. Hosseini smiles and says: “As I said before, we store different kind of food and things according to the different seasons and our needs. Sometimes donors bring us something which is not our need at that time, so we keep them in the warehouse. Of courseit will be better and more beneficial if they coordinate with our public participations department about our essential requirements. For example, sometimesthey donate too much meat to this charity while towel, bed sheet or garment is required. Althoughwe appreciate their kindness and nothing is useless here, but good coordination between donors and public participations department is more effective”. 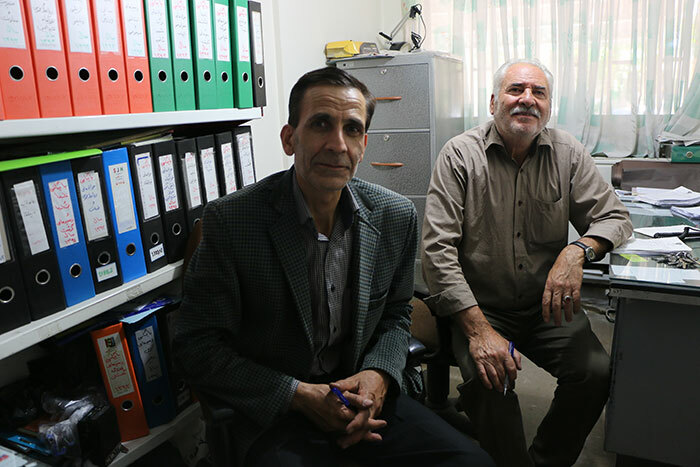 Mr. Taheri approved and says: "Yes, this coordination is good and it provides better conditions for donors too. Sometimes donors buy food or other things themselves and donate them to this charity. Unfortunately, in some cases, theyhadn’t checked the expiry date and it had made many troubles for us. While we are talking, the phone rings or colleagues come to the room and ask something. I request them to talk about their memories. Mr. Taheri smiles and says: “Here every day is memorable". Mr. Hosseinitouches his beard gently and says, “I've worked in many centers;the university of social welfare, social welfare organization itself and... but being beside these girls is really different. I have only four sons and whenever I’m here I feel they are my own girls. They call me dad, uncle, and brother and sometimes I repair their electronic devices such as music players because whenever they are sad they listen to music. Anyway, working here is different. I remember one of the girls had seen a kind of music player which is similar to a soda can, she had found an empty drink can and brought it to me to repair that! She had supposed any empty drink can play music. I bought one of those and she became so happy”. Warehouse clerks indicate that in favor of God and kind people some good things occurlike miracles in this charity. 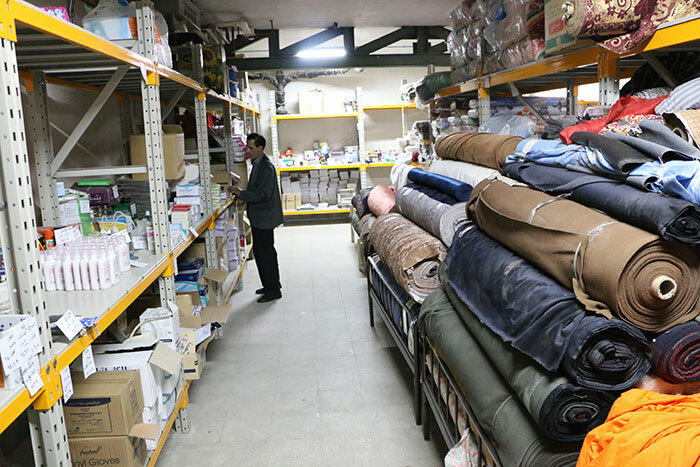 Sometimes an essential thing is needed and it isnot available in Mashhad and at the same time it is provided and donated by someone to the charity even from other cities such as Tehran. Mr. Hosseini continues: “Once I saw two women who were in the yard while they were carrying some packages and one of them said to her friend “let’s give these items to the girls by ourselves, maybe the authorities won’t!” “Shahnaz” one of our girls who was nearby went and said “please deliver them to the office and then they will give them to us on time and we’ll pray for you all. Her sentence was very encouraging to me and I smiled. At the end, Mr. Taheri and Mr. Hosseini appreciate all donors who support these girls and also they thank the authorities and good employees of this charity. The warehouse as an important part of this center has its own special problems, including thesmall refrigerator which is not sufficient now. At the first, there were 150 girls in this charity, but now the situation is completely different. Another problem is worn-out or damaged devices that we hope these two problems will be solved very soon withthe help of our friends to serve more services.